Performance reviews are changing from excel based manual systems to automated software. The benefits companies enjoy are humongous. The software comes along with certain features that can enable employee’s performances and bring in engagement. Employees are 4x more likely to score at the top of Bersin by Deloitte’s Total Performance Index when they were reviewed on their goals quarterly. The modern method addresses performance management concerns holistically incorporating specific modules to each process. Periodic check-ins and constant collaboration can identify every individual’s strengths and capabilities. Periodic review sessions eliminate the difficulty of finding out the employee’s areas of interests and improvements. 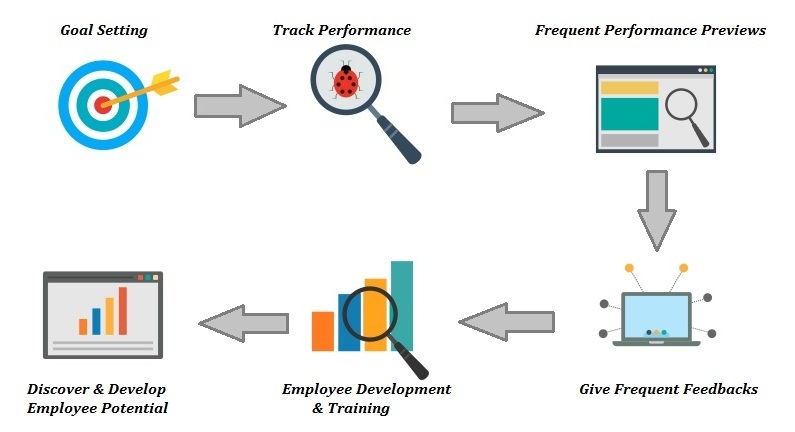 Managers can loop employees to required training programs as a part of employee enablement activity. The status of the training program can be monitored by the manager. There is 15% lower turn-over rates for companies who implement regular feedback and that is the reason why organizations like Deloitte, Kelly Services, Adobe, Accenture, etc. have brought in frequent feedback cycles as a part of their Annual review process in the recent time. Synergita allows the users to set up frequent feedback cycles as a part of their review process and can be made mandatory. Whenever manager sends appreciation notes, provides constructive feedback, etc. the system maintains complete log details that can be referred later at the time of annual appraisal process. This feature is brought-in to eliminate the recency bias. When managers have options to go through yearly performances, they’ll be able to make better decisions at the same time retain high performing employees. Continuous feedback increases collaboration between manager and the employees & helps in reducing attrition. Periodic review sessions help managers identify individual’s competencies and skill sets. It also brings-in employee engagement. Employee development & training is also a part of Performance Management process that helps employees grow professionally on their skill sets, competencies and helps acquire knowledge out of their areas of interest. 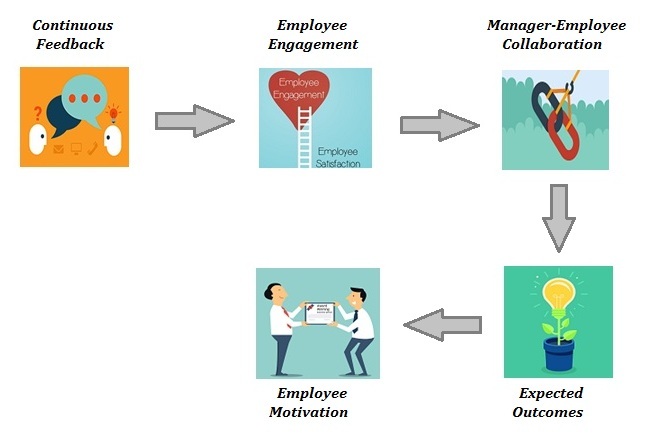 Continuous feedback, periodic check-ins, employee development programs motivate employees and make them stay engaged at work. Employee recognition is the ultimate need for any employee. Only when an employee is appreciated before the crowd and crowned, he/she will understand that they are valued in the organization.